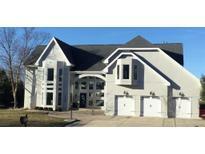 Below you can view all the homes for sale in the Bayhill subdivision located in Carmel Indiana. Listings in Bayhill are updated daily from data we receive from the Indianapolis multiple listing service. To learn more about any of these homes or to receive custom notifications when a new property is listed for sale in Bayhill, give us a call at 317-427-7201. Fabulous finished basement with daylight windows, full bath, bar & potential for a 5th bedroom w/ the addition of a closet. MLS#21631854. Keller Williams Indpls Metro N.
Don't miss the new, dual HVAC systems and tankless water heater that will save you tons on your utility bills. MLS#21622858. Keller Williams Indy Metro NE.